Monday at 5:15 p.m., West Yellowstone Police Department Dispatch received a 911 call from two Minnesota snowmobilers who were stranded. Given the steep terrain and low snow levels the two men in their 20’s indicated that they were incapable of getting out by themselves. The coordinates retrieved from the call indicated they were in a steep canyon approximately 9 miles west of West Yellowstone in the Lionshead area. Rescuers from the Sheriff’s Search and Rescue in West Yellowstone and U.S. Forest Service responded. 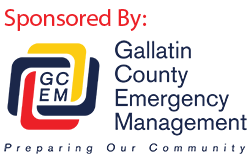 Gallatin County Sheriff Brian Gootkin would like to remind people that snowmobiling can be a challenging sport. It is important that snowmobilers know their limitations and pay attention to changing snow conditions. An area that is ridable one time of the year may be a trap at another. As always, snowmobilers are encouraged to have a reliable means of communications and pertinent survival gear when enjoying Montana’s backcountry.